The Houston Astros take on the Minnesota Twins on Saturday at Target Field. The probable starters are Mike Fiers for the Astros and Mike Pelfrey for the Twins. The opening line for this matchup has Houston at -145 and Minnesota at +135. The over/under was set at 8. The Astros have a 56-67 over/under record and a 70-58 run line mark, meaning they cover 55% of the time. The Twins have a 60-59 over/under record and a 76-51 run line mark, which means they are covering the spread 60% of the time. The Astros head into this matchup with a 71-57 record, including 26-36 on the road. Starting pitcher Mike Fiers holds a 1-0 record with an earned run average of 2.42 and a WHIP of 1.00. He's pitched 26 innings thus far while surrendering 17 hits over that time and when he starts, the Astros are 2-1. Against the over/under, the Astros are 2-1 in his starts. The team is averaging 4.3 runs when he starts. The bullpen's earned run average is currently 2.64 and they've given up 267 hits on the season. Opposing teams are hitting .199 against the Astros bullpen while walking 107 times and striking out 366 times. Houston is averaging 7.81 strikeouts per game while getting 7.97 hits per nine innings as a team. They rank 3rd in baseball in team earned run average at 3.30. Houston is batting .241 as a team, which is good for 29th in the league and hitting .238 away from home. Ranked at 21st in the league in on-base percentage, the Astros sit at .307 and they hold a .420 team slugging percentage. Jose Altuve leads the team in hits with 151 while the team ranks 30th in baseball with 8.07 hits per game. With a 38-24 home record, Minnesota will hope to improve on their 65-62 overall mark. With an earned run average of 3.69, Mike Pelfrey will come into this game holding a 6-7 record and a 1.42 WHIP. He's pitched 139 innings thus far while surrendering 157 hits over that time in which the Twins are 13-11. Against the over/under, the Twins are 10-12 when he starts. The team is averaging 4.5 runs when he takes the field. The bullpen's earned run average is currently at 3.98 and they have given up 380 hits on the season. Opposing teams are hitting .249 against the Twins bullpen while walking 124 times and striking out 290 times. Minnesota is averaging 6.21 strikeouts per game while getting 9.54 hits per nine innings as a team. They rank 22nd in the league in team earned run average at 4.18. They are batting .250 as a team, which is good for 21st in the league and hitting .271 at home. Ranked at 29th in the league in on-base percentage, the Twins sit at .303 and they hold a .402 team slugging percentage. 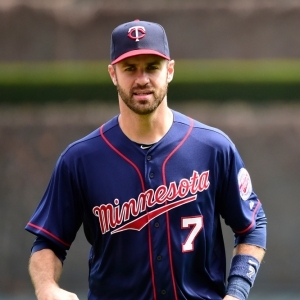 Joe Mauer leads the team in hits with 126 while the team ranks 21st in baseball with 8.42 hits a game. The Astros have committed 63 errors and have combined for 1,329 assists and 3,440 put outs leading to a .987 team fielding percentage. The Twins have committed 66 errors on the season with 1290 assists and 3,375 put outs leading to a team fielding percentage of .986 on the year.